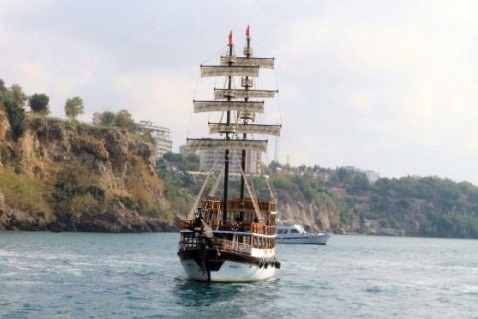 The tour boat Kurt-C with 84 passengers capsized and sank on 2 nautical miles off Antalya Marina in Turkey. 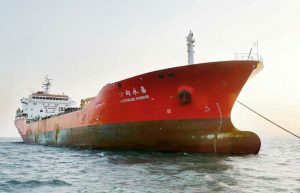 The vessel was on cruise near the Turkish coast, but was hit by heavy rainfall and strong winds after leaving the marina. The bad weather forced crew to change course and try to return the boat the the quay, but unfortunately tourist boat capsized and sank. All the passengers were thrown into the water, but most of them were rescued by the nearby yachts, coast guard vessels and fishermen. The good samaritans and local authorities succeeded to rescue 73 people, but unfortunately 9 are still missing. The search and rescue operation is still under way. Fortunately all the passengers on board were wearing life jackets during the accident. This is the main reason for the large number of rescued people after capsizing in such bad weather. The local authorities continue to search for the missing people, sending even divers to inspect the capsized boat. Many of the rescued people were taken to hospital with injuries, but according to local media there were no life threatening hurts. The investigation for the root cause of the accident is under way. The tour vessel Kurt-C is Turkey-flagged sailing boat with length of 24.00 m, beam of 6.00 m and maximum draft of 2.50 m. The gross tonnage of the vessel is 77 GRT. The boat is operated by 3 crew and has capacity up to 100 passengers.